Fig. 1. 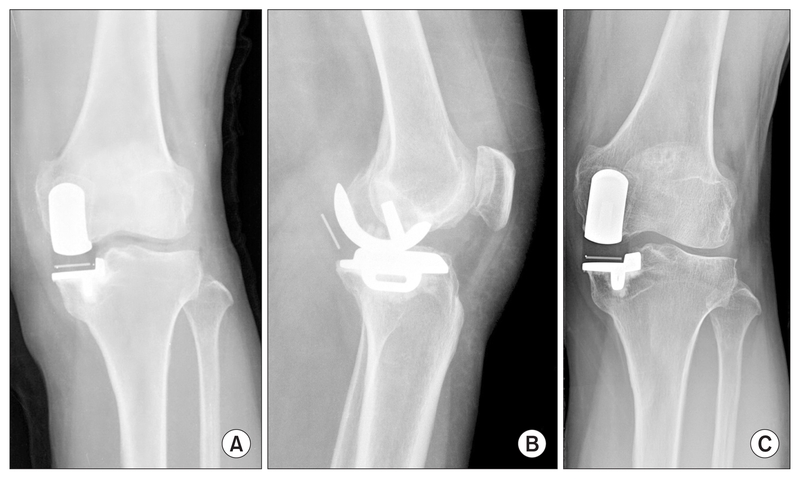 (A) A 59-year-old female underwent Oxford medial unicompartmental knee arthroplasty 10 years ago. (B) Posterior dislocation of the meniscal bearing occurred 3 months after the operation. (C) She remained pain-free and obtained normal function of the left knee 9.8 years after bearing exchange.